FmPro Migrator is a stand-alone application which quickly and accurately migrates FileMaker Pro databases to MySQL, Oracle, Access, SQL Server, Sybase, DB2, OpenBase, PostgreSQL, FrontBase, SQLite and Valentina. FileMaker Pro database structure and data are migrated to a database table in the destination database. Large text, repeating fields data and container field JPEG preview images are also migrated without manual data entry. 1) A Table Consolidation feature which performs the automated copying of Tables/Fields, Table Occurrences, Relationships, Value Lists, Custom Functions, ScriptMaker scripts and Layouts between FileMaker Pro Advanced 11 - 16 database files on macOS and Windows. 2) A Layout XML Export Feature, which exports the definition of each FileMaker Layout into an XML file containing all of the Layout object definitions along with embedded layout graphics. Need to convert forms/reports/layouts - please scroll down for the Platinum Edition. FmPro Migrator Developer Edition leverages the application automation features of AppleScript(Mac)/WinAutomation(Win) when controlling the FileMaker graphical interface. FmPro Migrator Developer Edition uses customized shortcuts to automate the creation of Table Occurrences, Value Lists, Custom Functions, Relationships and Layouts within the consolidated database file. Migrated Table/Field definitions and ScriptMaker scripts are pasted into FileMaker Pro Advanced via the ClipBoard. Transfer Data from FileMaker® to SQL Databases. FileMaker Pro table consolidation/rebuild projects. Automated creation of tables/fields, TOs, Layouts. FileMaker Pro to SQL database data transfers. Repeating fields conversion to SQL databases. 9) FileMaker DDR XML file exporting upon request. Need to process more than 250 Forms/Reports/Layouts? Just order additional FmPro Migrator Platinum Edition licenses, each license adds the capability of processing 250 additional Forms/Reports/Layouts. All license keys can be used for an unlimited number of projects, during the term of the license key. The migration tool for FileMaker® Pro, Microsoft Access and Visual FoxPro projects. Microsoft Access & Visual FoxPro migration. Build PHP web apps from FileMaker, Access & VFP. VB6, PHP and BASIC to LiveCode migration. FileMaker images to SQL database data transfer. Plus all FmPro Migrator Developer Edition features. SQLite Diff - Compares SQLite Database Schema & Data - with highligted text results. FmPro Script Diff - Compares, Edits, Searches & Replaces Text, Variable Names and Fieldnames in FileMaker Pro and FileMaker Advanced ScriptMaker scripts. Delivery of each software application is done electronically. You will be able to download your software immediately after completing the payment process. Electronic software distribution is not taxable, therefore sales tax will not be added to your order. Order online risk-free with our 30-day money back guarantee. 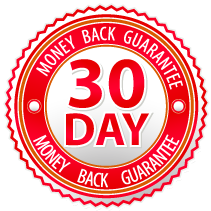 If at any time within 30 days of purchase you are not satisfied with these products, you will receive a no-hassle refund of the full purchase price. The applications are non-expiring after the year has expired, but updates (including patches and feature upgrades) and support are only available to current subscribers. There are no hardware copy protection devices required in order to install or use the licensed versions of its products. .com Solutions Inc. trusts its customers to abide by the License Agreement and Copyright laws when using these applications. These applications are licensed on a per-user basis. Each user may install the applications on multiple systems or even multiple operating systems if necessary, as long as only the licensed user executes the application. Please send email concerning any questions you may have about products, services or ordering.